​The Belmonte Lab at the University of Manitoba drives innovation through discovery. 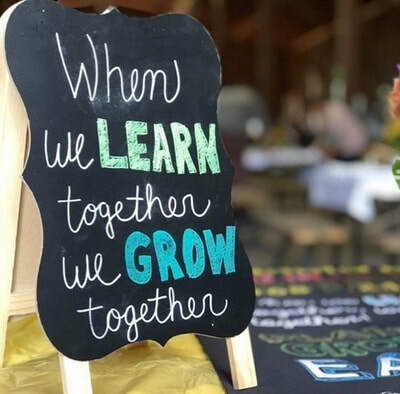 Together, we study the cellular and molecular functions of plant development and plant pathogenesis. We strive to find new, innovative and sustainable technologies to improve and protect some of Canada's most important crops. The University of Manitoba campuses are located on original lands of Anishinaabeg, Cree, Oji-Cree, Dakota, and Dene peoples, and on the homeland of the Métis Nation. Check out the Belmonte lab on social media! PhD. student Phil Walker and Dr. Belmonte attend the Learn to Lead event presented by Manitoba Canola Growers in Brandon! The event features seminars on leadership, etiquette, brand perfection and conversing with impact. 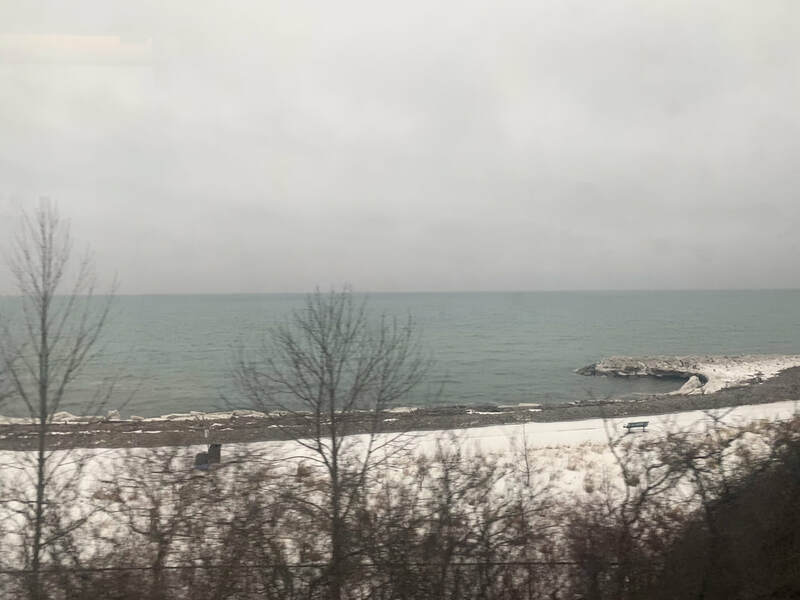 Dr. Belmonte takes off to Queen's University in Kingston, Ontario to give a talk for their seminar series! ​Dr. 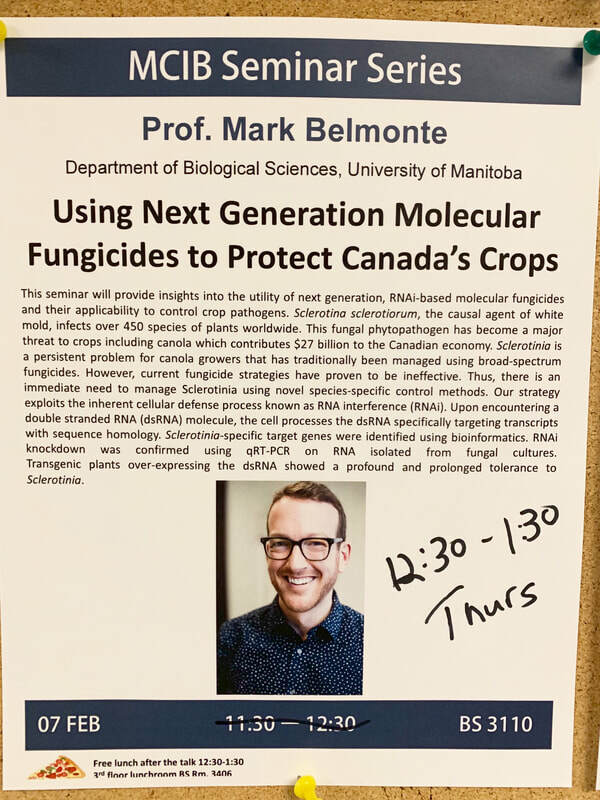 Belmonte visits the University of Toronto Department of Cell & Systems Biology to present his talk "Protecting Canada's crops using next generation molecular fungicides". Deirdre heads off to San Diego to attend the 2019 Plant and Animal Genome Conference! Stay tuned for photos of her poster and presentation! Read more about the conference here. ​Congratulations to DOCTOR Michael Becker (pictured right), who successfully defended his PhD thesis this week! In January, Mike will begin working at the JC Wilt Infectious Disease Research Centre where he'll be studying HIV. Way to go Mike!! 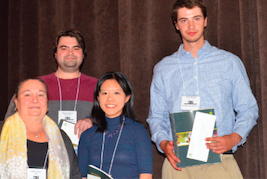 Congratulations Phil and Nick for taking first and second place for their presentations at the 2018 Regional Canadian Phytopathological Society Meeting! Dr. Mark Belmonte was invited to present his work on protecting Canada's crops using RNA interference at the Annual General Meeting of Centre SEVE at Orford, Quebec. Congratulations to Mike, Jenna, Ainsley and Mark for having their work published in Phytochemistry: Tissue-specific localization of polyketide synthase and other associated genes in the lichen, Cladonia rangiferina, using laser microdissection. Additional congratulations to authors Mostafa Elshobary and Dr. Michele Piercey-Normore for their contributions. Go check it out here! This Friday!! The Belmonte lab encourages everyone to come down to the University of Manitoba Science Lounge and interact with a diverse group of LGBTTQIA*individuals. It's the perfect opportunity to learn about various fields in science and what you can do with your degree! 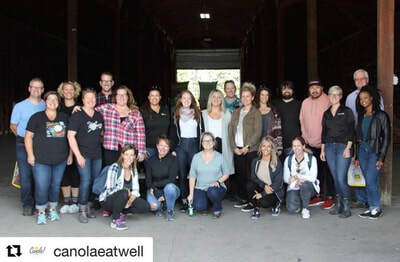 Dr. Belmonte attends the 2018 Canola Connect Harvest Camp! The first full week back in class! The Belmonte Lab welcome back Shayna Giesbrecht and new student Karina Goska, who will be completing directed studies courses in the lab this term. The Belmonte Lab is pleased to announce the release of their latest paper in Current Biology through a collaboration with Dr. Geoff Wasteneys at UBC: "The Microtubule-Associated Protein CLASP Sustains Cell Proliferation through a Brassinosteroid Signaling Negative Feedback Loop". Check it out here! Bon voyage to Mark, Deirdre and Dylan, who are attending the Plant Biology 2018 conference in Montréal this week. Read more here. Congratulations to Austein, Phil, Nick, and Daniel for publishing their paper " Developing new RNA interference technologies to control fungal pathogens " in the Canadian Journal of Plant Pathology. Go check it out here. 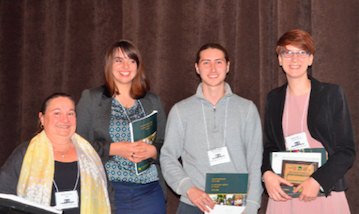 Congratulations to D​eirdre for her research poster award, and Dylan and Nick for oral presentation awards at the Food Sustainability Conference! Additional congratulations to Dylan and Deirdre for receiving the People's Choice Award. Congratulations to Philip Walker on his first place oral presentation award at CPS-QSPP conference in Quebec City! More information here. Congratulations to Rachel Robinson who received her BSc in Biological Sciences today at the UofM! 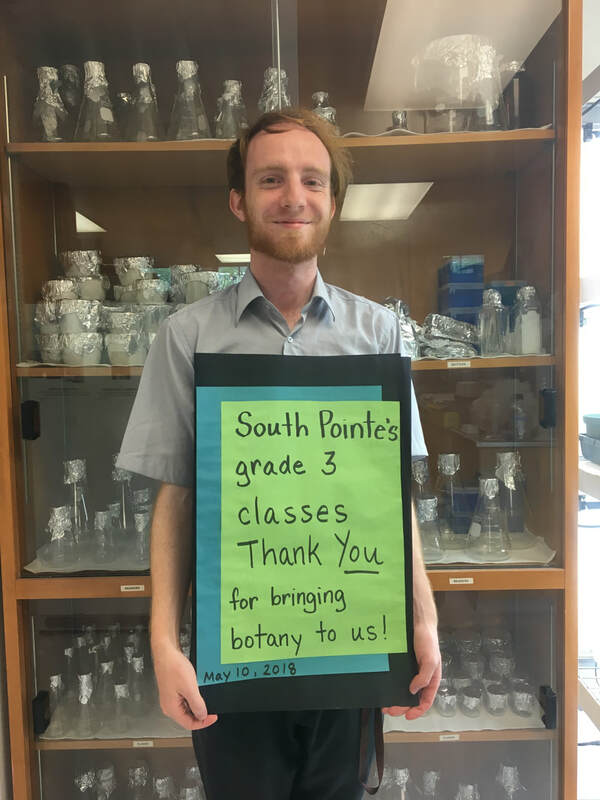 Dylan is presenting a talk today to grade 3-4 students today at South Pointe elementary school about the importance of plants! The Belmonte lab welcomes Shayna and Brittany for the summer as they work to improve Canadas crops while enhancing their molecular techniques. Congratulations to Mr. Daniel Sullivan for receiving a 2018 Undergraduate Student Research Award. Congratulations to Austein McLoughlin on successfully defending his MSc thesis! The Belmonte lab congratulates Deirdre Khan on being featured as one of CBC Manitoba's Future 40! Read more here. The Belmonte Lab takes part in the CFI funding announcement at the Bannatyne Campus and present their research to the Hon. Kirsty Duncan! Dr. Belmonte is presenting new development on RNAi-based biocontrol of fungal pathogens at the University of Calgary. We'll be at the ABIC meeting this week in beautiful downtown Winnipeg. More info here. Deirdre Khan, PhD student and NSERC Vanier Scholar is featured in UM Today! More info here. Member of Parliament for Winnipeg South, Terry Duguid, visits the Belmonte lab. More info here. Congratulations to Joey and Phil on starting their MSc in the lab! The lab welcomes Dylan Ziegler who will be working on gene regulation of the canola seed. Welcome Dylan! The Belmonte lab heads to the field! 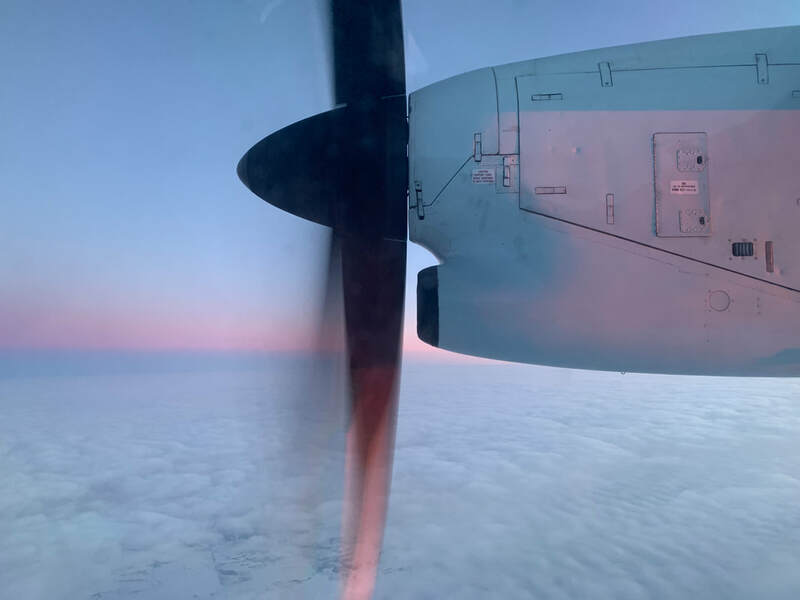 Mark and Deirdre head to Vancouver to attend the annual meeting of the Canadian Society of Plant Biologists! Congratulations to Michael Becker, Nick Wytinck, and Philip Walker on their oral presentation awards at the CPS meeting! The Belmonte lab is off to the Canadian Phytopathological Society's annual meeting at the Delta Hotel, Winnipeg. Congratulations to Nick Wytinck, Joey Wan, Dustin Skrzenta, and Phil Walker who received their BSc in Biological Sciences today at the UofM! Happy Pride, Winnipeg! The Belmonte Lab is celebrating inclusiveness, diversity, and equality today on the Legislative Grounds and at the Forks! Congratulations to Mike, Phil and Nadege for publishing their paper " SeqEnrich: A tool to predict transcription factor networks from co-expressed Arabidopsis and Brassica napus gene sets" in PLoS ONE! Go check it out here. The Belmonte Lab welcomes Rachel, Kirsten, and Daniel for the summer as they work towards solving important questions in plant biology! Dr. Belmonte is traveling to Argentina to meet with industry collaborators at Stoller Argentina and Dr. Fabricio Cassan at the Universidad National de Rio Cuarto. Congratulations to Mr. Nick Wytinck on receiving an NSERC PGS-M award to develop RNAi technologies against fungal pathogens! Congratulations to Ms. Deirdre Khan on receiving the NSERC Vanier Scholarship! The lab is so incredibly proud of this accomplishment! Austein is presenting his work describing how he combats Sclerotinia stem rot in canola using RNAi at Department seminar today! The Belmonte Lab is celebrating and recognizing all of the incredible women out there - especially those making a difference in the community and beyond! Congratulations to Mike and Xuehua for publishing their blackleg transcriptome paper in Plant Journal. More info here. Dr. Belmonte was in Houston presenting his work at the International Stoller Research Associates Meeting. Welcome back Mr. Nick Wytinck as he starts his MSc and Mr. Phil Walker as a full time undergraduate co-op student both working on the functional characterization of RNAi technologies against fungal pathogens. The Belmonte Lab welcomes Mr. Dustin Skrzenta as he starts his MSc. Dustin is co-supervised by Dr. Maria-Antonia Henriquez at AAFC Morden. The Belmonte Lab welcomes back Ms. Nina Huynh as a full time technician in the plant transformation group! Congratulations to Mike Becker on receiving the NSERC Micheal Smith Award to study abroad during his doctoral studies! Happy New Year from the Belmonte Lab! The Belmonte lab wishes everyone a joyous holiday season! Congratulations to the Faculty of Science Outreach Committee on being the recipients of the 2016 University of Manitoba Outreach Award! Congratulations team! Congratulations to Deirdre Khan on receiving the Gordon P. Osler Graduate Scholarship! The lab welcomes back Mr. Ian Girard who will be working on the development of novel molecular fungicides to combat Sclerotinia! Welcome back students to the first day of school! Congratulations to the Belmonte, Fernando and de Kievit labs on their recent publications in Frontiers in Microbiology and Applied and Environmental Microbiology! The Belmonte lab welcomes Dr. Abolfazl Hajihassani and Ms. Nina Huynh (welcome back!) who will join the plant transformation group! Congratulations to Chantal Dupas, Belmonte Lab artist in residence, and Andrew Milne on their show at Interwoven at the Platform Gallery, Winnipeg! More info here. Congratulations to Mr. Ian Girard on successfully defending his MSc thesis! The Belmonte (UofM) and Wasteneys (UBC) labs join forces for the second annual retreat in beautiful Newboro, Ontario to discuss research collaborations. Congratulations to Ms. Deirdre Khan for her oral presentation that took home top spot at Plant Biotech 2016 in Kingston, Ontario! What a fantastic job! Congratulations, D! Austein, Deirdre and Mark are off to Kingston for #plantbiotech2016 hosted by the Canadian Society of Plant Biology. Dr. Belmonte attended the Global Institute of Food Security Conference on Emerging Technologies for Food Security in Saskatoon. What an incredible line up of speakers and events! More info here. Happy Pride, Winnipeg! The Belmonte Lab will be down at the Manitoba Legislature and the Forks celebrating gay pride! Congratulations to Jenna and Braden on their marriage! Mike Becker and Dennis Drewnik were on CJOB radio to talk about research at the UofM! Deirdre and Ainsley have their paper on cell and tissue specific RNA sequencing published in JXB: Tissue-specific laser microdissection of the Brassica napus funiculus improves gene discovery and spatial identification of biological processes. Congrats to all that made this paper a success! Congratulations to Dennis Drewnik on winning the best plant science project at the Intel ISEF worl science fair! Dennis was working closely with Mike Becker this year. Congratulations! More info here! Come down to the University of Manitoba for Science Rendez Vous 2016! Dr. Belmonte was on CTV Morning News promoting Science Rendez Vous 2016. Check it out here! Congratulations to Jenna Millar on defending her MSc thesis! Welcome Nadege Pulgar-Vidal, Vanessa Ho and Joey Wan to the lab as undergraduate summer students! Congratulations to Dr. Belmonte on this years recipient of the University of Manitoba's Merit Award for outstanding contributions to research and outreach! Congratulations to Dennis Drewnik on receiving the Gold Medal for best overal project at the Winnipeg School Division Science Fair. Congrats! Congratulations to Dennis Drewnik on taking home the Sanofi Biogenius Challenge for the second year in a row! Dennis is working with Mike Becker identifying novel resitance genes in canola against blackleg disease. Dennis was also the recipient of the Genome Prairie award for best genomics project. Big congratulations to Dr. Mark Belmonte on being the recipient of the 2015 Rh Institute Foundation Award in the Natural Sciences! More information here. Congratulations to Mr. Dennis Drewnik on being selected to represent Canada at the Intel International Science and Engineering Fair in Phoenix, Arizona! Dennis is one of 8 students to be selected from across Canada - congrats, Dennis! More info here. Congratulations to Chantal Dupas, Artist in Residence - Belmonte Lab, and Andrew Milne on their show: OMMATIDIA MURALIS, ODD Galery, Yukon. The Belmonte lab welcomes Mr. Nick Wytinck, an NSERC USRA and co-op student working with Austein McGloughlin, who is interested in crop protection technology. Congratulations to Mike Becker for his second place talk and to Ian Girard and Phil Walker for their honourable mention at the regional Canadian Phytopathological Society's meeting in Winnipeg! 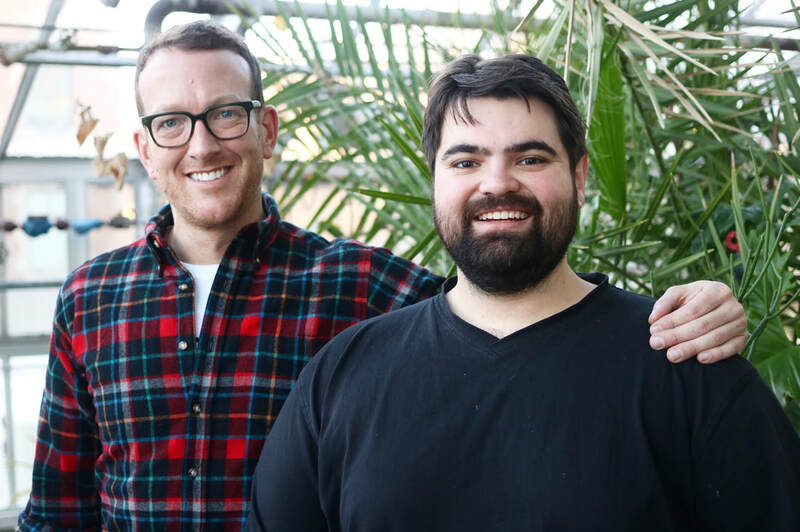 Congratulations to Dr. Mark Belmonte (#25), Dennis Drewnik (#26), and Ian Girard (#27) on being named three of Manitoba's 100 most fascinating people for 2015! More info here. Dr. Belmonte presented "“Lasers, disease, and resistance: Global RNA sequencing and laser microdissection of the Brassica napus - Leptosphaeria maculans pathosystem” at Canola Innovation Day in Saskatoon, SK. More info here. Congratulations to Mr. Ian Girard on receiving a Manitoba Graduate Fellowship! Dr. Belmonte presented “Fighting the bully: Comprehensive RNA profiling and laser microdissection of the Brassica napus - Leptosphaeria maculans pathosystem” as part of the Plant Plant Pathology and Microbiology seminar series at Iowa State University. Dr. Belmonte was selected to receive a University of Manitoba Outreach Award for his outstanding contribution to outreach services over the past year! Congratulations to Jenna Millar on publishing her paper on chalazal seed coat development in canola in the journal Plant Science! Congratulations to Michael Becker on being the recipient of the prestigious NSERC Vanier Canada Graduate Scholarship. More about NSERC here. The Belmonte lab welcomes Philip Walker, an undergraduate co-op student, who will be identifying novel cell-specific molecules associated with plant defense in canola. Congratulations to Ian Girard on receiving a University of Manitoba Graduate Fellowship.. More about UofM grad studies here. Dr. Belmonte and other young leaders in Winnipeg took part in a workshop to discuss racism in our city with Marcy Markousa. and CBC Manitoba #CBCasks. More info here. The Belmonte lab welcomes Hailey Spence as an undergraduate project student working with Ian Girard to identify novel molecules associated with Sclerotinia defense in oilseeds. 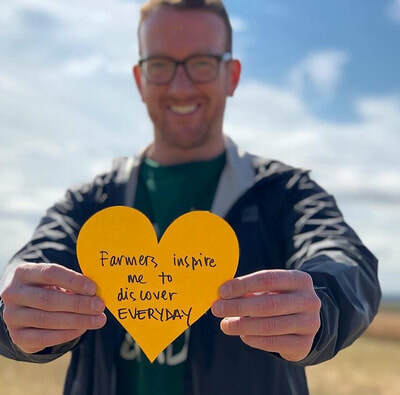 Congratulations to Michael Becker on receiving the Roma Zenovea Hawirko Graduate Scholarship for his work in agricultural microbiology. The Belmonte lab welcomes Austein McLoughlin as he pursues his MSc in plant protection using genomics based tools! Dr. Belmonte was the keynote speaker at the ATP Nutrition summer meeting in Kenora, Ontario. The Belmonte and Wasteneys labs join forces in the Canadian Rockies to talk science and promote plant biology in Canada. Ian Girard wins an honourable mention for his oral presentation at #Botany2015 and the Canadian Society of Plant Biologists! Dr. Belmonte joins the Canadian Society of Plant Biologists as the new Western Regional Director. Big thanks for the Canadian Botanical Association and the Canadian Society of Plant Biologists for supporting student travel! Dr. Belmonte, Jenna Millar, and Deirdre Khan all presented their research at #Botany2015. More info here. The Belmonte lab is on their way to #Botany2015 for an exciting week of plant biology research! Dr. Belmonte presented "Laser microdissection and RNA sequencing of the Brassica napus - Sclerotinia sclerotiorum pathosystem" at #IRC2015SK. Dr. Belmonte gave a talk with Dr. Dilantha Fernando at the Blackleg Summit at #IRC2015SK.. The Belmonte lab is off to the International Rapeseed Congress in Saskatoon. More info here. Dr. Belmonte is speaking at Head Start 2015 about what it's like being a professor at the University of Manitoba. More info here. Dr. Belmonte presented the seminar "Development and implementation of Next Generation RNA sequencing technologies to dissect plant pathogen interactions" at the NGS Symposium, University of Manitoba. Dennis comes home with 4th place at the #SBC2015! More info here. Dennis speaks with Marcy Marcusa at CBC this morning before heading to Ottawa to compete in the #SBC2015 national champtionship! Listen here. Look here. Dennis Drewnik comes home to Winnipeg with a silver medal from the Canada Wide Science Fair and wins the 4H-Canada award for most outstanding project related to sustainable agriculture and food security! Four new summer students join the lab - Welcome Matt, Nina, Kat and Parker! Dennis Drewnik wins at the Manitoba Schools Science Symposium! Dennis took home a Gold Medal; the American Physiological Society's Most Outsdanting Accomplishment in the Physiological Sciences; and the most Outstanding Individual Biological Sciences Project at the Senior Level sponsored by Monsanto Canada! More information about MSSS here. Dr. Belmonte and Dennis Drewnik were on CTV Winnipeg to talk about #SBC2015 and extract strawberry DNA! Watch here..
Dennis Drewnik does it again! Dennis is the recipient of the Gold Medal at the Winnipeg Schools Science Fair, the Monsanto Canada Mathematics Innovative Application Award and Most Outstanding Project at the senior level. He will be representing Manitoba at the Canada Wide Science Fair in Fredrikton, NB! Dennis Drewnik, grade 11 student from Sisler High School, working with Dr. Belmonte and Ian Girard is on his way to Ottawa after winning the prestigious Sonofi BioGENEius Challenge! #SBC2015 More information here, here, and here. Dr. Belmonte was selected as a finalist in the CBC Manitoba Future 40 celebrating rising stars making an impact in Manitoba! More information here and here. Dr. Belmonte will be giving a lecture at Eckerd College, Florida, USA about Arabidopsis seed genomics with host Dr. Liza Conrad. Dr Belmonte presented the seminar "Getting to the point: Laser microdissection and RNA sequencing of host pathogen interactions in canola" for the Department of Botany, University of British Columbia in Vancouver, Canada. More information here. Ainsley Chan successfully defends her thesis "Anatomical and transcriptomic of the Brassica napus funiculus". Dr. Belmonte and Michael Becker present their work at the CPS regional meeting. Mike wins first prize for his oral presentation! Dr. Belmonte presented his lab's work at the University of Winnipeg. Michael Becker publishes his seed genomics review in Frontiers in Plant Science. More information here. The Arabidopsis somatic embryo paper is published in the Journal of Experimental Botany. More information here. Ian Girard, Sherry Mao, and Michael Becker present their work at the CPS/APS meeting in Minneapolis. Sherry Mao successfully defends her MSc thesis "Effect of Sclerotinia sclerotiorum on the plant defense response in Brassica napus and Arabidopsis thaliana". Dr. Belmonte and Ainsley Chan present their work at CSPB/ASPB meeting in Portland. Ainsley wins first prize for her poster presentation! 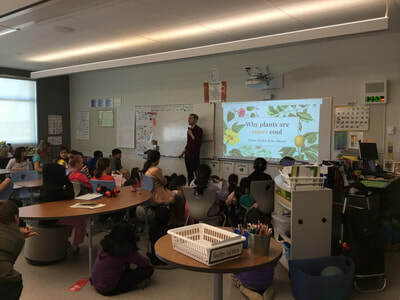 Deirdre Khan, Ian Girard and Jenna Millar publish their Arabidopsis seed coat transcriptome paper in Plant Science..
Dr. Belmonte presened two seminars at Eckerd College, St. Petersburg, Florida about the Arabidopsis seed transcriptome. Dr. Belmonte was invited to present his work on the genomics of the canola-blackleg pathosystem at the 20th Internation Congress of Plant Pathology in Beijing, China. Dr. Belmonte was invited to present his work on host pathogen interactions at the 15th Annual Sclerotinia Workshop in Wuhan, China. Dr. Belmonte was invited to present his work about the Arabidopsis seed transcriptome at Huazhong Agricultural University, China. Ainsley Chan publishes her work on the canola funiculus in Botany. Dr. Belmonte publishes his Arabidopsis seed subregion RNA transcriptome paper in PNAS.